Purchasing information will be coming soon! So, who populates the Dream Walker setting? Here’s a list of all of the characters I can list without major spoilers! Dave is the protagonist of the story. He’s your average kid from a Philadelphia suburb in the fall of his 8th grade year. Video games, sports, hanging out with friends, all the usual stuff. Nothing too exciting and that’s just fine for Dave. However, during one particularly bizarre dream, he encounters the Sleepless Knight. Upon finding out that the Sleepless Knight might be somebody he knows, Dave is thrown into the Dream Walker world to find out the truth. Dave’s guardian in the Dreamscape, a being responsible for preparing Dave to confront the dangers in this realm. Eric is Dave’s best friend and they’re practically brothers. While Eric is a bit more uninhibited then Dave, they try to do everything together. If one tries out for the football team, the other does as well. If one gets into a video game, the other one buys it as well. Andy is a another close friend of Dave’s. A video game obsessed goth, Andy tends to act a bit on the moody and dramatic side of things. He is currently dating Eric’s sister and fellow goth, Cynthia Graham and also tries to make his own video games with Jake Wilkins. Another member of Dave’s social group. He’s extremely creative, but socially awkward which causes some annoyances with the rest of the group, particularly Andy. Emma is Dave’s girlfriend. After a chance meeting at a movie theater, the two soon began dating. She’s become good friends with the rest of the group, especially with Cynthia and Eric. Raymond, or Rake as his friends call him, is bully at Dave’s school who has recently turned his focus on harassing Dave. Mike is the star quarterback of the school’s football team. Cocky beyond belief, he loves to torment Dave and Eric at school whether in class or on the football field. He also loves to taunt Dave with threats of ‘stealing away Emma’. Cole is a football player and is good friends with Mike Everway. While dumb as a rock, he’s an amazing football player. However, when he’s not playing, he joins with Mike in tormenting Dave and Eric. Peter is a counselor working at Dave’s school who helps Dave to focus and control his dreams. A friend of Dave’s from when they were much younger, but over time they’ve drifted apart. She’s definitely considered weird by other students which doesn’t seem to bother her and almost seems to encourage it by constantly having a stuffed toy alligator on her shoulder called Jimmy Chestnut. Rake’s girlfriend, who he calls ‘Ale’. Obviously part of Rake’s gang of hoodlums. Eric’s younger goth sister. Much to his frustration, not only has she joined his social group, but did so by dating Andy, though she doesn’t care much for his video game obsession. Dave and Eric love taunting Eric about this by referring to her as ‘Sin-thia). Dave’s younger brother. While they’ll trade insults, it’s almost always for fun. Dave has realized that at the rate that Nick is growing, there’s little time left before Nick is going to be towering over him. 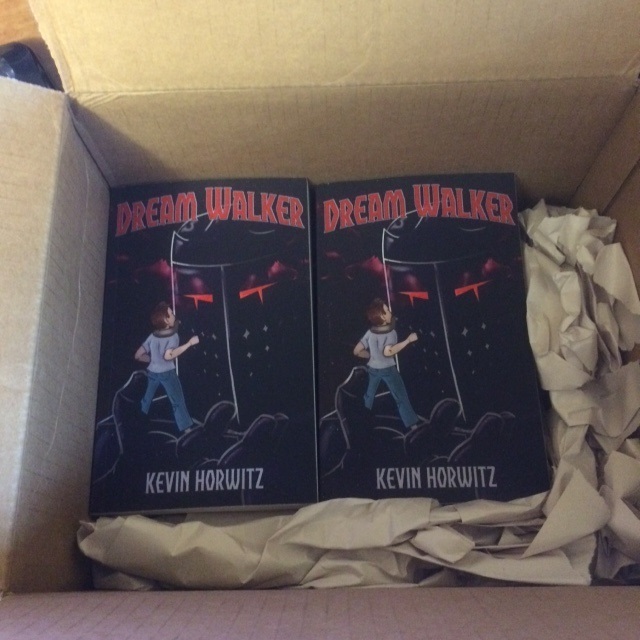 This blog will be focusing on not only the Dream Walker novels (the first book to be released on October 1st), but also on the creative process. Stay tuned for more!